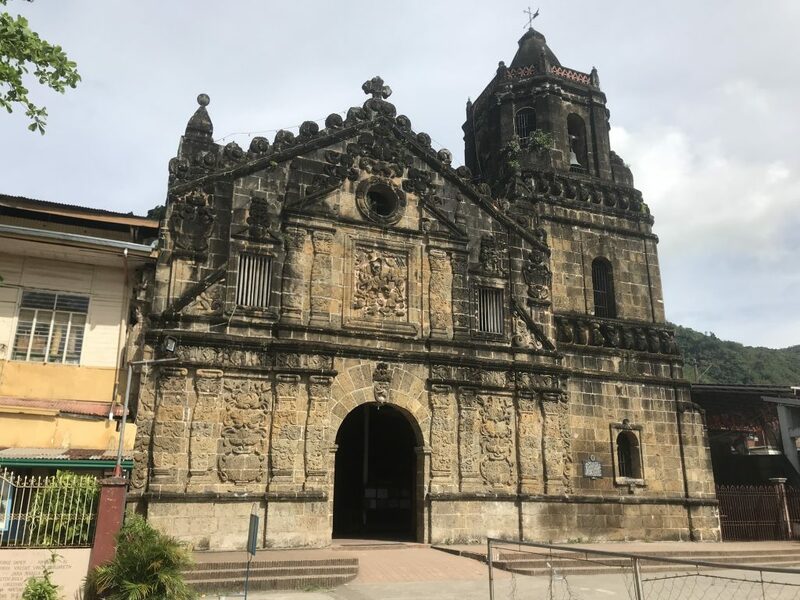 Paete is located in Laguna province and is one of the most unique places I have been to. There are a number of places across the country in which the Spanish influence is quite obvious. Paete town centre is definitely one of those places. However, based on my experience, I would leave visiting the town centre towards the end of your trip (particularly if you have a car and driver). If you do have a car and driver, the first place to visit is Tatlong Krus (which translates to Three Crosses). This is a religious pilgrimage site which offers some amazing views across Laguna de Bay. You can get there by driving to the top of the mountain. The roads along here are in pretty good condition so are fairly safe, and only a couple of hours from Manila. There is a sign showing you the trail to Tatlong Krus, but it is very difficult to read as it is very rusty and washed out. Waze was pretty accurate so if you follow that you should be ok. From there the lookout area is only about 15 to 20-minute walk. 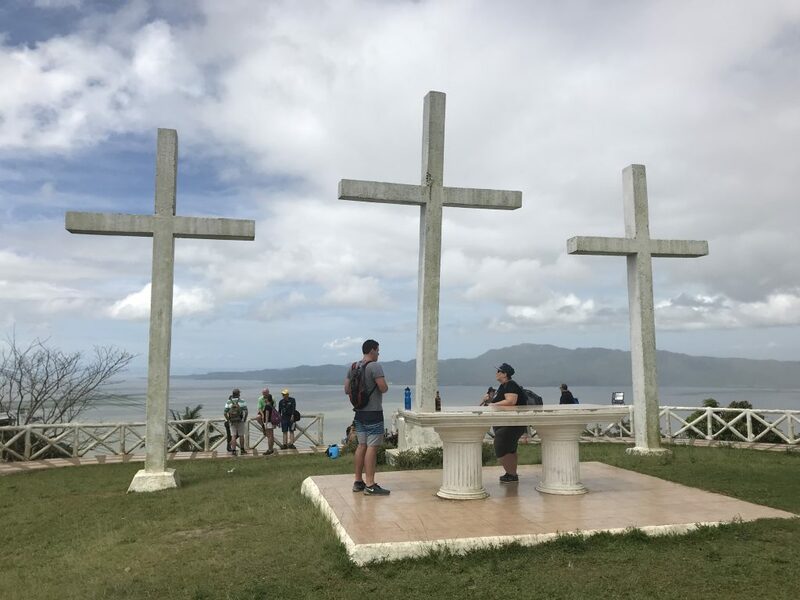 Once you reach the lookout area you will see the three big crosses with Laguna de Bay as the backdrop. Then from there, you have the trek down to Matabungka Falls which takes about 30-40 minutes. Compared to some of the other hiking trails I have been on, the trail for this hike is pretty easy. It is paved the whole way from Tatlong Krus and has steps. The trail is downhill all the way to the waterfall and can get slippery, so extra care needs to be taken with your footing. The waterfall is a beautiful twin waterfall and is about 30 to 40 meters high. You can swim in here and the water is pretty clean and fresh. When you get near the main waterfalls, you hit a T-intersection. Here you will see a toilet block and a small concrete hut. At this point make sure that you turn left to go down to the waterfall, otherwise, the trail continues down to Paete. After the falls you can continue down the main trail which takes you to the town of Paete. It’s a great walk through the backstreets of some barangays and gives you a wonderful insight into the town of Paete. There are a number of small canals running through the town and pastel-coloured buildings which very much reminded me of being somewhere in Europe. Paete town plaza itself has a very Spanish feel. This is showcased with a grand old church that dates back to 1646, with some religious artefacts inside dating back 500 years. There is a number of shops in the area selling wood carved souvenirs which the town is famous for. You can stop here and take your lunch and have your car/driver meet you there. This really is a great place to visit for a day trip. You can also check out my Vlog which will give you a real good look and feel for the place. Tatlong Krus is noticeable due to the three large crosses signifying this popular pilgrimage site. 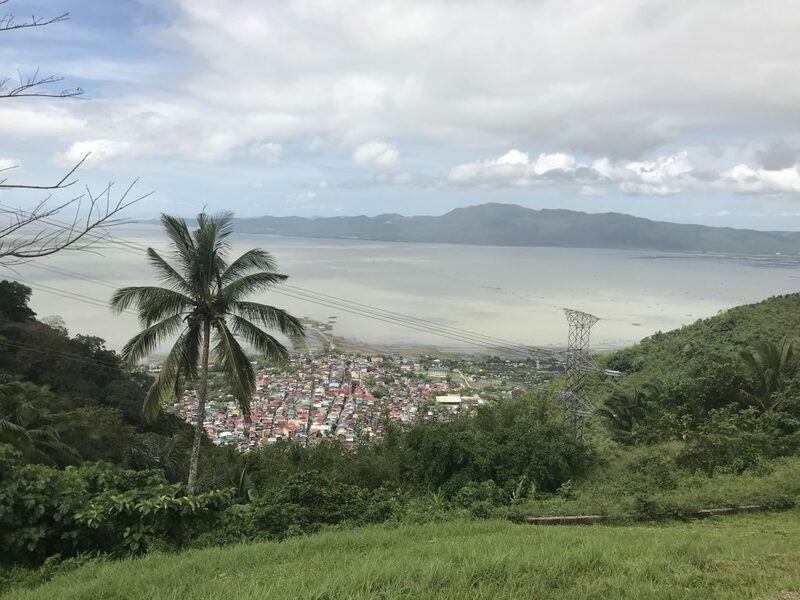 There are some stunning views of Laguna de Bay from Tatlong Krus. You can see the town of Paete down below. 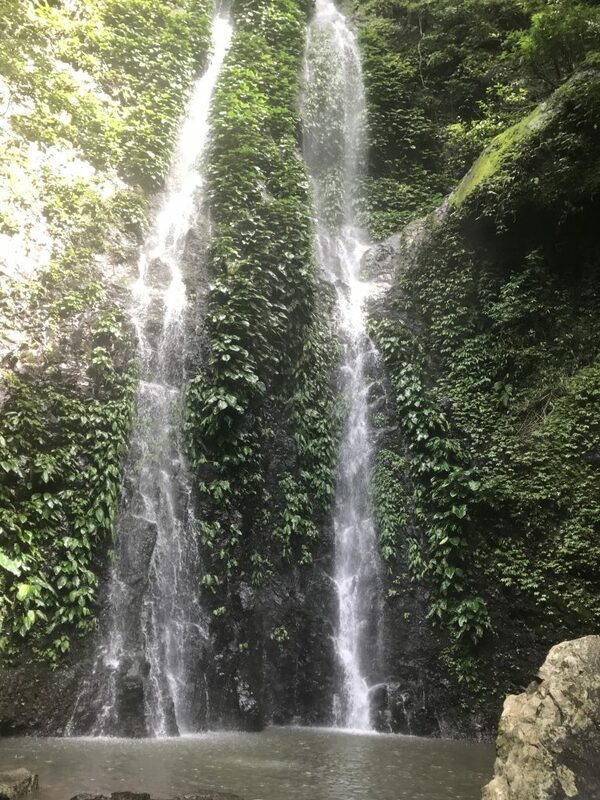 The majestic Matabangka Falls. This is a beautiful twin waterfall with a rock pool you can swim in. 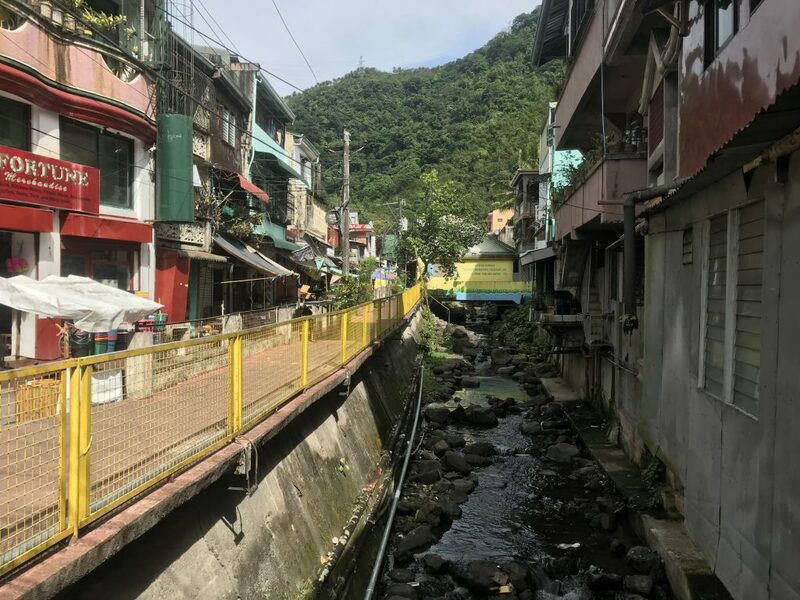 There are a number of canals that run through Paete. Along with the coloured buildings, it has a very European feel. St James church which dates back to 1646 has some sculptures and artefacts inside dating back 500 years. Please click below to watch my vlog on this very unique place near Manila! As mentioned if you have Waze, Paete is pretty easy to find. As recommended, I suggest starting at Tatlong Krus which you can find on Waze. As mentioned, it is much easier if you have a car and driver so that you can start at the top of the mountain. Then you can walk down to the waterfall and have a swim and relax, and then finish off in the town where you’re car and driver can meet you.